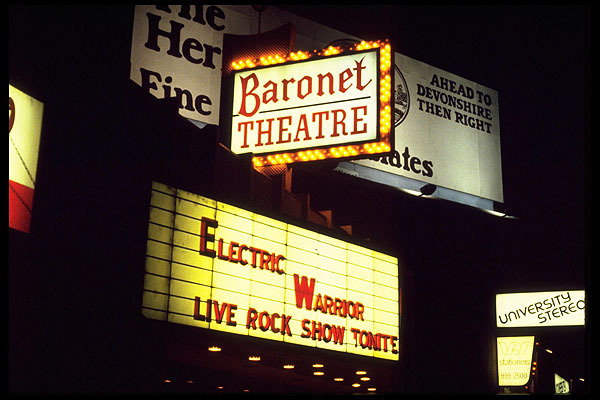 Electric Warrior - Rocking the San Fernando Valley in the 1970's! 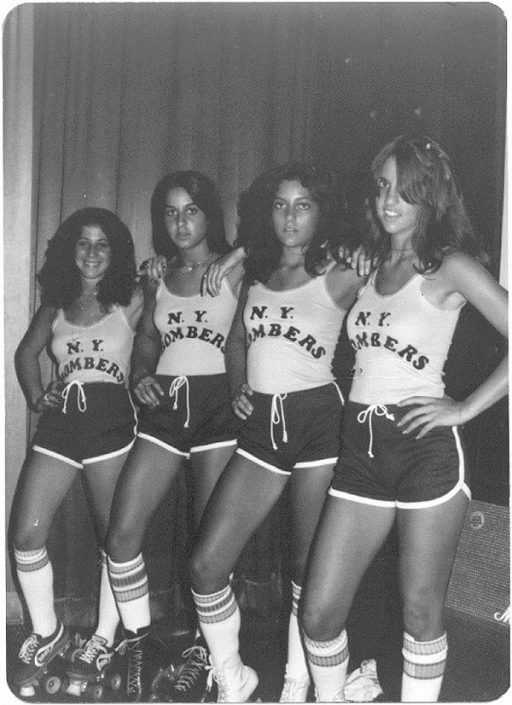 It was the 70’s and it was rock & roll! A great time to be in a band! 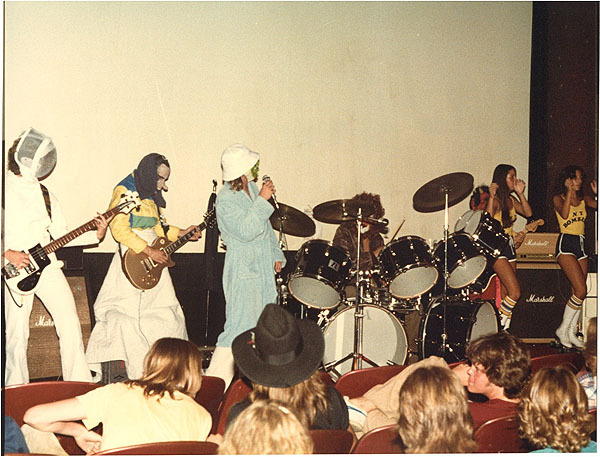 Our band was Electric Warrior. 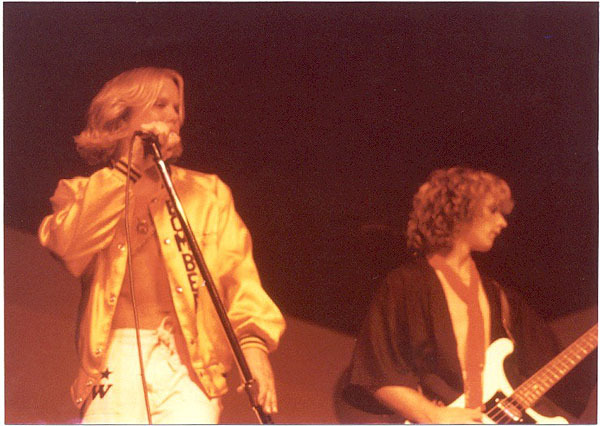 Back then, crowds went nuts when you performed a current hit and rock ruled the day. Your first band is similar to your first girl; you never forget. 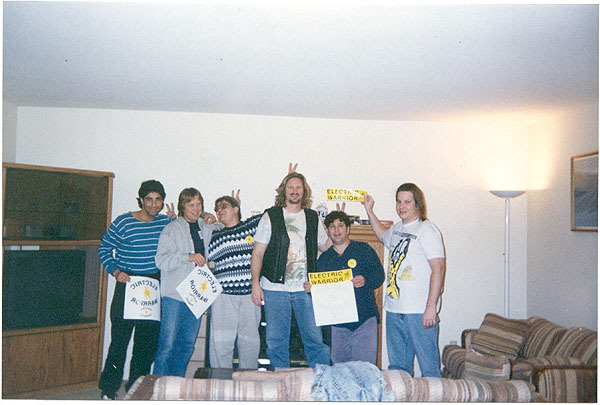 Members were all between 16 and 19. Back then there were almost no DJ’s. Karaoke was yet to be discovered. Live music was king. 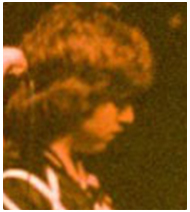 Electric Warrior was formed in Woodland Hills CA (Los Angeles County) in 1977. 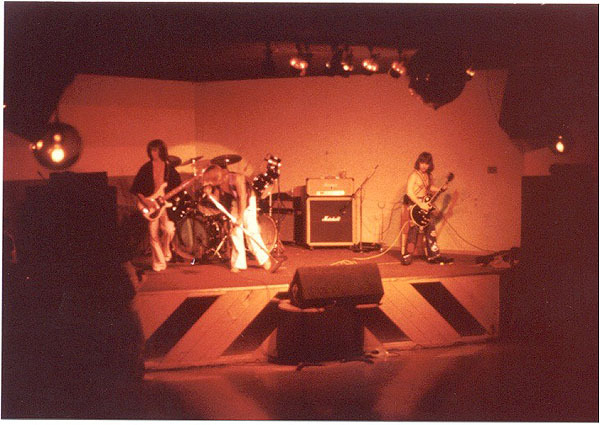 Named after the T-Rex album of the same name, the band performed originals and about 50 rock covers. 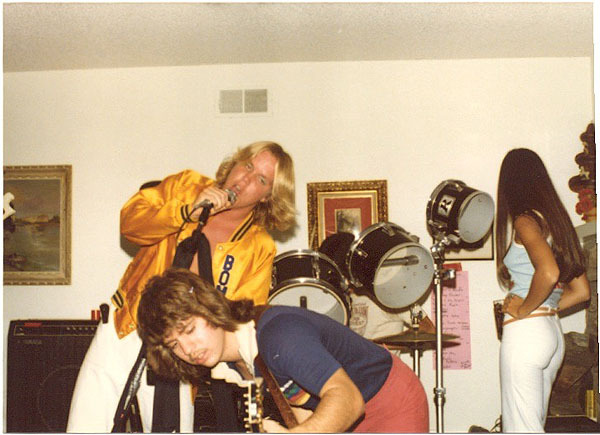 Like all rock bands of the 1970’s, we rehearsed in a garage. 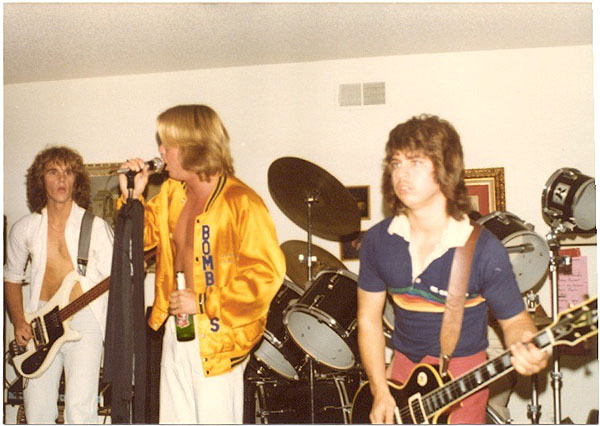 In the first year, we spent more time in the garage than on stage at shows. 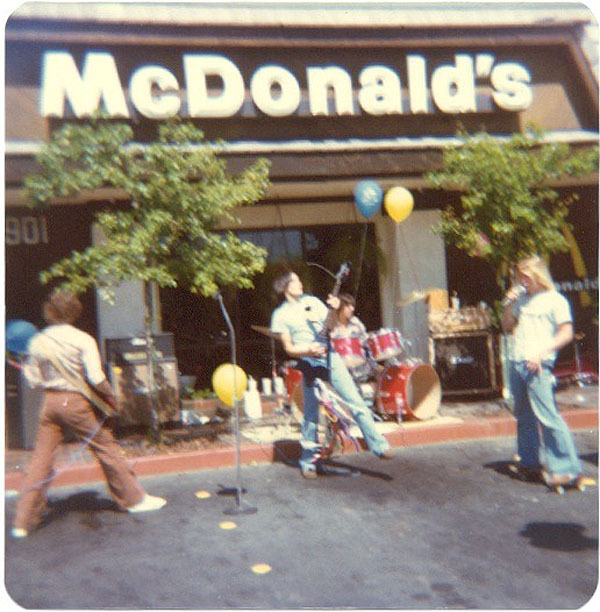 EW played their very first gig at a local McDonald’s grand opening. 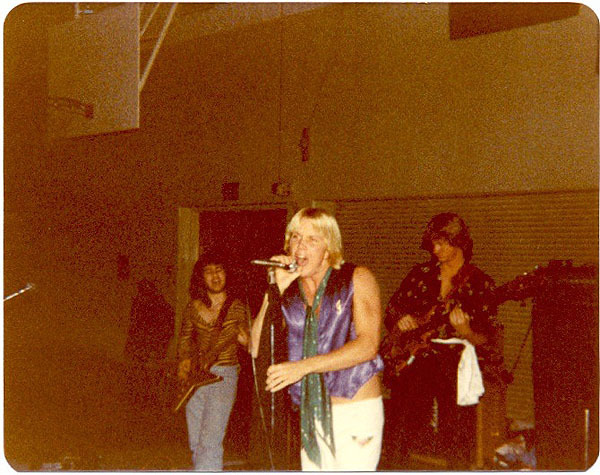 Scott performed while on roller skates, a tradition that he maintains to this day whenever there is a large enough concrete stage. 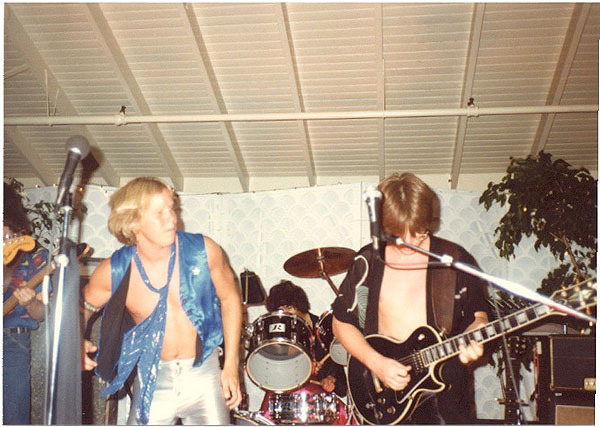 The original group was Michael the “Groveler” Vangerov (guitar), Michael Stoekli (guitar), David Mednick (bass) Steve Sklar (drums) and Michael Moore (lead vocals). Within just a week out of the box, Moore left and was replaced by Scott Stephens. 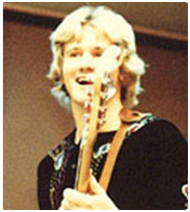 Not long thereafter Mednick was out, replaced by the short-lived Dan Hand who was then replaced by Bob Farrell who became the groups longest tenured bassist. 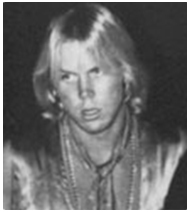 Michael Stoekli left in 1979 with little notice and was replaced by Don Mogill. 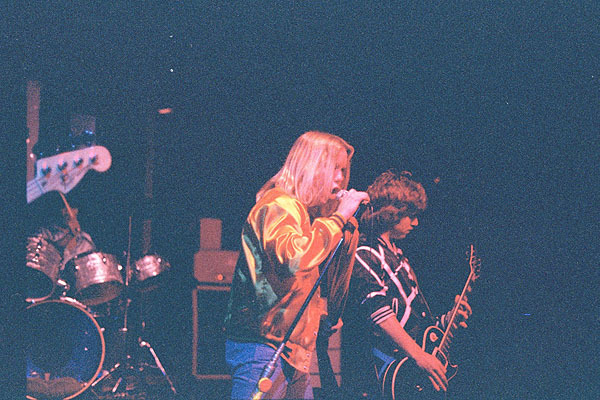 The group’s original format was two guitars; bass, drums, and vocals. 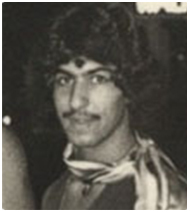 In 1981 the group replaced Vangerov with a keyboard player, Brian Kassan. 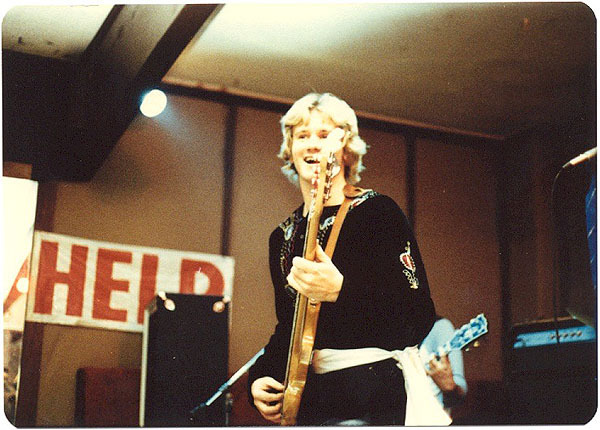 Farrell also left in 81′ and was replaced by Ed Sandon. 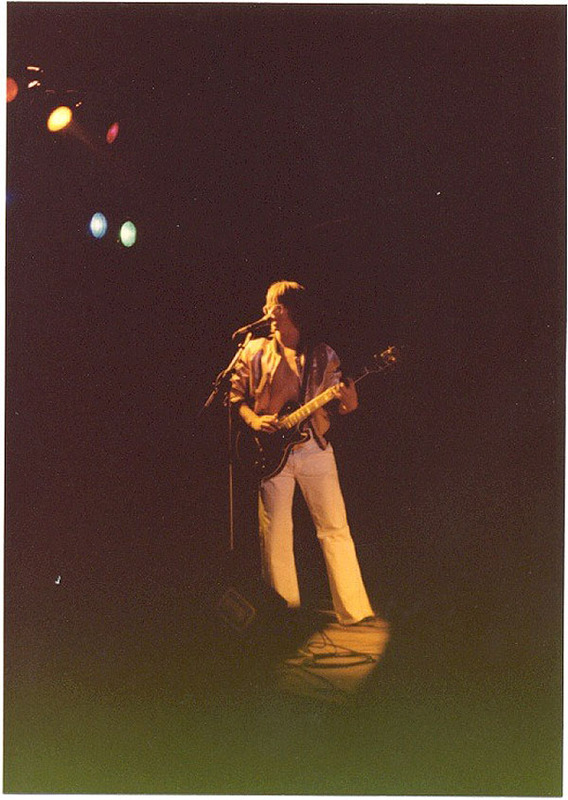 Steve Sklar was the only original member to stay through the band’s three-year history. Scott became a member when Michael showed up at his door one day saying the band needed a new singer and he had heard Scott could sing. 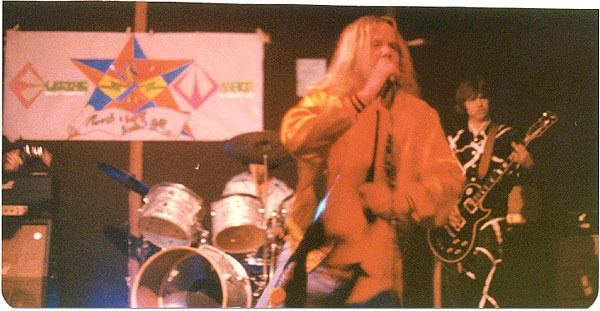 Within just a few months Scott became the band’s de facto leader, organizing band affairs; marketing, and booking shows. The band was serious but not hell-bent on success. 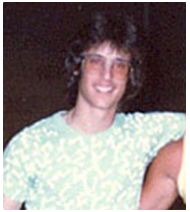 Scott was juggling his time between his magazine (Raw Power) and a job as a roller derby skater. 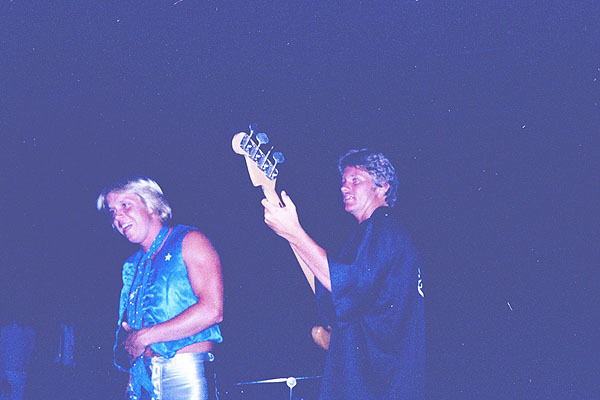 Stephens and Vangerov went on to form Liquid Blue in the 1990’s. 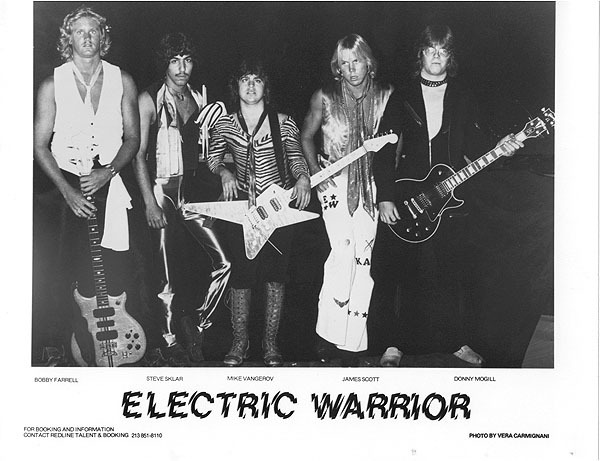 Electric Warrior opened for Quiet Riot at Star Baby in 1979 when Randy Rhoads was still part of the group and just a couple years prior to their mega-hit LP, “Metal Health”. 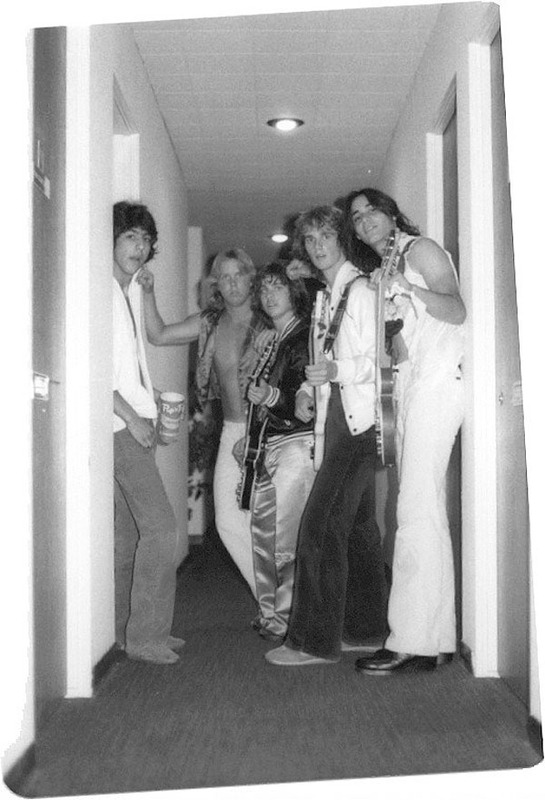 Michael and Randy sat backstage in the dressing room, playing each other’s Les Paul guitars. Scott had recently interviewed singer Kevin Dubrow for a Raw Power Magazine cover story. 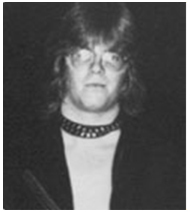 He later assisted in arranging the audition for Randy with Ozzy. 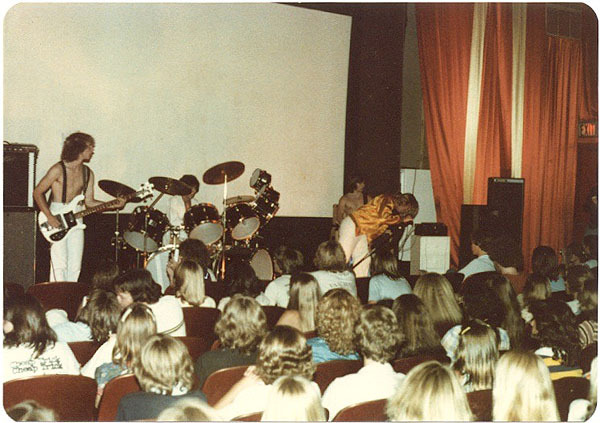 On one occasion, Stephens had booked the band into a Canoga Park movie theater for a big weekend show. Upon having trouble finding an opening act, Stephens arranged for Electric Warrior to open the show incognito as the New York Bombers, wearing full costumes to hide their appearance. Most of the crowd bought it except for a few who noticed both bands had extremely short guitar players. 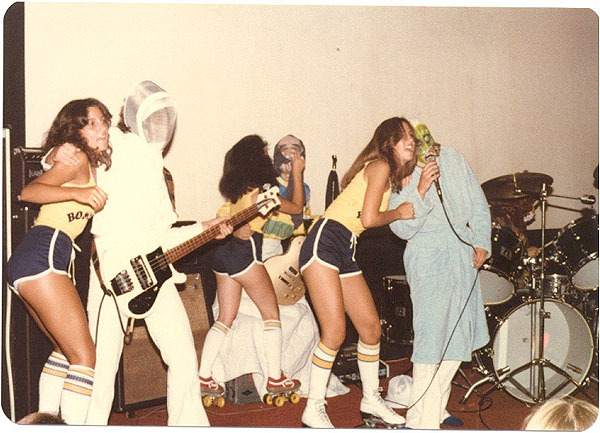 On this gig as was the case at many others, when the band covered the Tubes on “White Punks On Dope” there was a roller derby type fight as part of the show. Arms flailing pointlessly but they did destroy a few guitars. 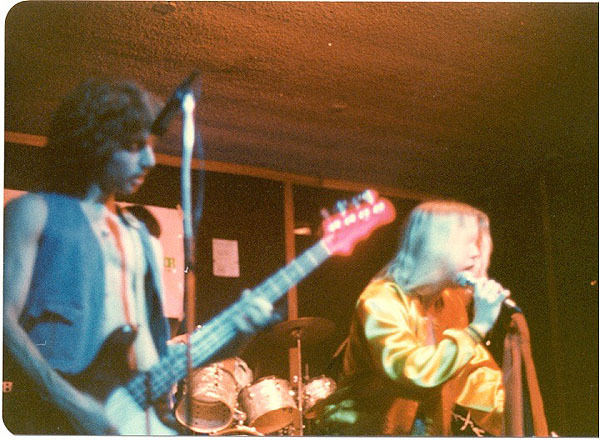 Don Mogill and Bob Farrell were in attendance at this show and not long after became members of the band. The classic “EW” line-up was Sklar, Farrell, Mogill, Vangerov, and Stephens. 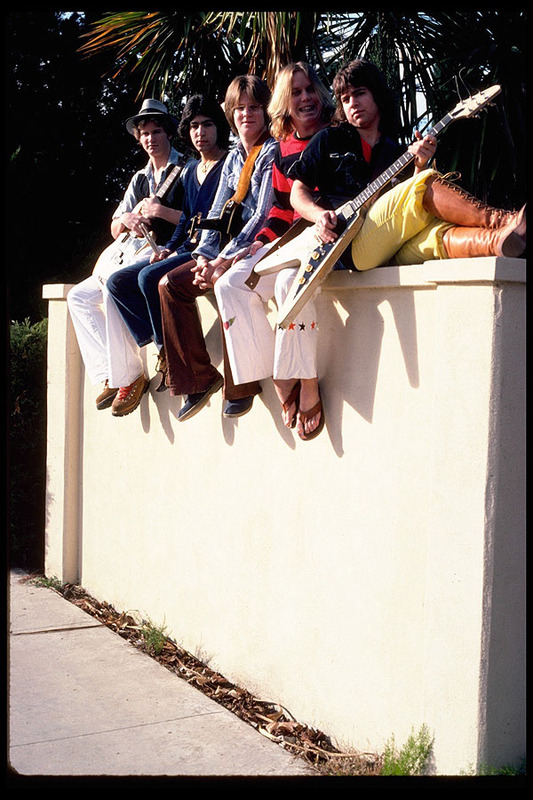 This line-up played numerous shows including a concert at Devonshire Downs (where Hendrix once appeared) which was recorded and is the only known recording of the band’s original music. 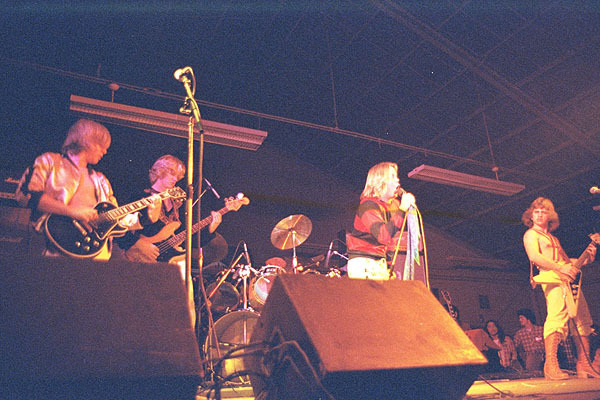 The band’s favorite venue was South Pasadena High School where they played several shows to enthusiastic high-schoolers. 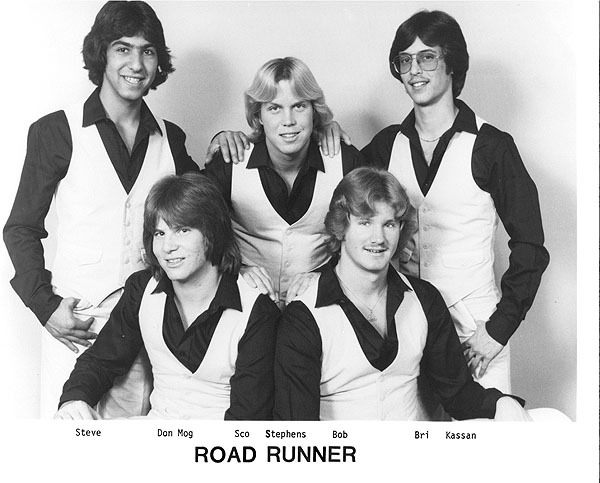 Songwriters Don Mogill, Scott Stephens, and Michael Vangerov wrote two albums worth of songs but never managed to release any of it. 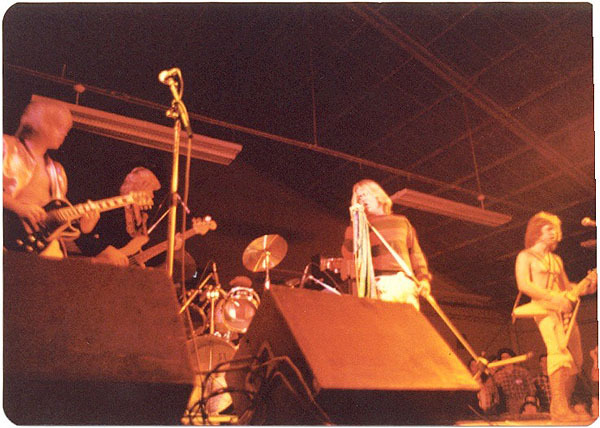 The last hurrah for Electric Warrior was a 1981 tour of Alberta, Canada using a different name, Road Runner, as suggested by an agent. The line-up for the final tour was Skar, Mogill, Kassan, Stephens, and Ed Sandon. 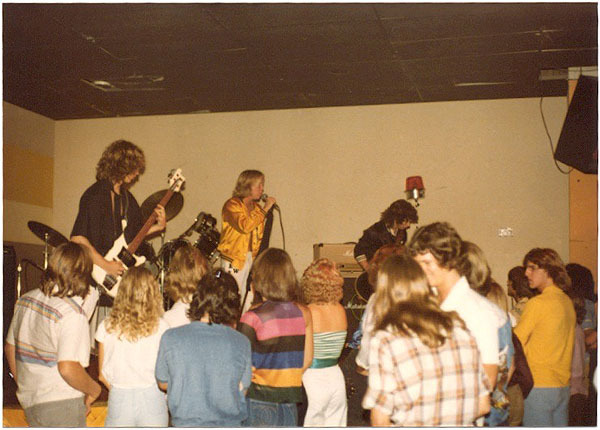 The band traveled in a van custom built by sound engineer Paul Rambacher and played small town clubs and bars. Paul went on to run sound for many national acts. As it turned out, the booking agent was a crook and ripped off the band badly. On the Canadian tour the band played for one week in each town; usually 5 nights a week. One club stiffed the band on their pay and it was found out later they were in cahoots with the booking agent. 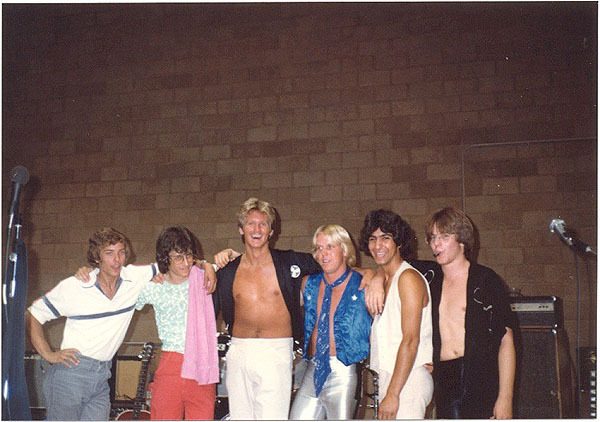 The band never played another show after this 1981 summer tour. Years ago there was some talk of a one-time reunion show but it never materialized.